Matt Thornhill worked at Lakeview Farms from 1982 thru 1985. Matt's home was located right next to Lakeview Farms so it was just a short walk to work. As far as I know, Matt was the only former Lakeview Farms employee to enter the legal profession. Up until 2006, Matt was Assistant St. Charles County Prosecutor for 13 years and interestingly enough worked closely with another ex Lakeview farms employee, Dave Tiefenbrunn, at both Lakeview Farms and his former County Prosecutor job. 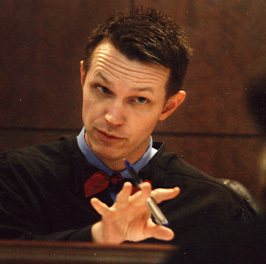 In November 2006, Matt was elected as an associate circuit judge for St. Charles County and currently handles primarily civil cases.